theSANCTUARY specializes in customized skincare services. Whether you are seeking to take years off of your skin, clear problematic skin areas, or hydrate dry, dehydrated skin we will provide a facial that is tailored to fit your needs while exceeding your skincare goals. 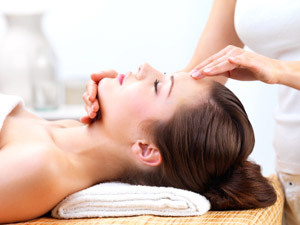 You will leave your facial feeling refreshed, revived and most importantly: pampered! For Preventative Aging, Fine Lines, Wrinkles and Dry/Dehydrated Skin. For Dull, Breakout Prone Skin. For Problem Skin On Your Back.